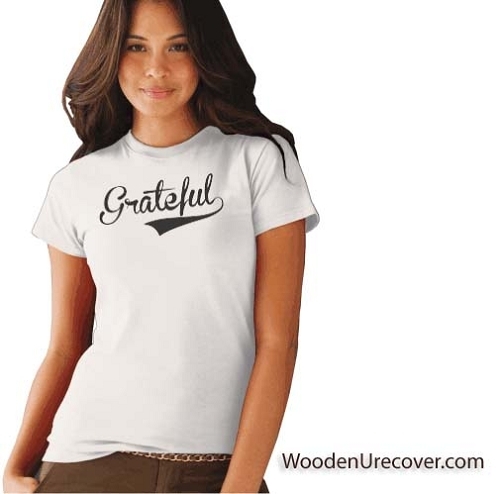 Grateful - Recovery T-Shirts with Baseball Jersey Style Swoosh | T Shirts for anyone in recovery! 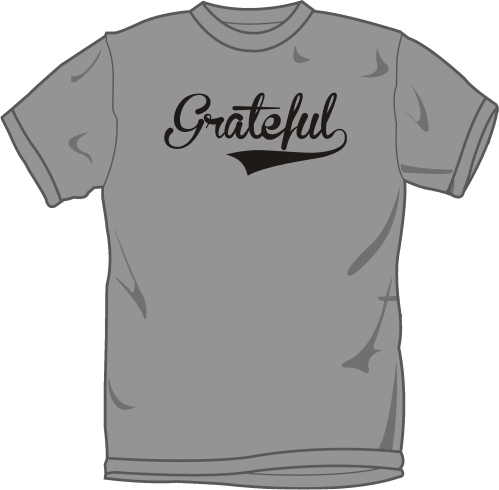 Features the word "Grateful" with a baseball jersey style swoosh banner! Wear it proud! Have an idea for a great Recovery T-shirt? Need something specific for an event or special occasion? Please contact us! We can turn your idea into reality quickly and affordably!